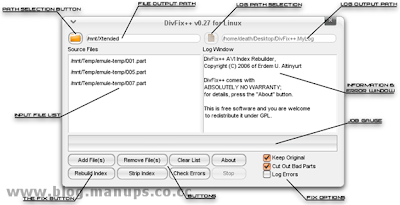 DivFix++ enables you to fix and watch partially downloaded AVI movies. It can rebuild or strip the index part of the movie, which is at the end of the file and therefor missing when the file was downloaded incompletely. It also includes basic error detection features. You can chose to create a new (fixed) file, leaving the original one intact.